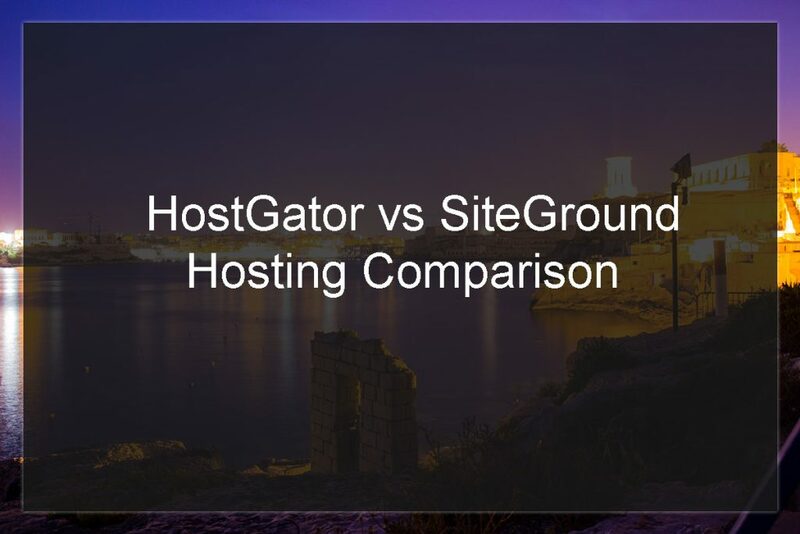 In this post, we will compare HostGator vs SiteGround for WordPress bloggers and online entrepreneurs. HostGator and SiteGround are too of the biggest hosting companies in the world, and in this post we will learn which one is the best for your needs. The success of your business is composed of training, effort, and knowledge to do good choices. The hosting company and plan you choose play a major role to the general success of your website, and in this article, we will guide you through choosing between SiteGround and HostGator. There are probably two situations in which you may ask yourself: HostGator vs SiteGround, which is the best? The first situation is when you are new to online business and you want to get a hosting to start your website. The second situation is when you already use a hosting service. It can HostGator, SiteGround or even another hosting company, but you want to change it for some reason. HostGator is one of the most well know hosting companies in the world. With a very aggressive marketing campagin and pricing policy, HostGator manages to be extremely successful. Founded in 2002 in the United States, HostGator has log passed the mark of 9 million domains. It has a strong worldwide presence, even with specific products targeting markets like India and Brazil. SiteGround is a little bit younger than HostGator, being founded in 2004. The company is considerably smaller than HostGator, however it has one of the highest reputation among hosting companies. Currently SiteGround has more than 400 employees and has server in several locations around the world, including North America, Europe and Asia. Hosting Speed is probably one of the main aspects one should consider when buying a hosting plan. To determine the hosting speed one of the best ways is to check server response times. The response time figures show the first response a server sends when pinged, the lower this value is, the faster the server is. Ideally, one should do it from different locations as we did below. We have tested both HostGator and SiteGround shared plans to determine their average server response speed. As we can see, the fastest response time was from locations in North America, closer to the physical location of the HostGator server in question. HostGator had the slowest ping from a location in India, with 308 ms in average. The average server response time from the five locations was of 175 m, which is pretty good. Now, we did the exact same time from a website hosted on a SiteGround server, also in North America. Let’s see the results below. We can see a similar result from the SiteGround server compared to the HostGator server, also with the fastest results from North America. This time, the fastest average was from Toronto in Canada with impressive 11 ms. The average response time when pinging the SiteGround website was of 163 ms, slightly faster than HostGator. You can click here for our report on the fastest WordPress hosting companies of 2017. Both HostGator and SiteGround have a very intuitive and easy to use Dashboard. For managing most things in your hosting, you will use the cPanel in most of the cases. Even if you have no experience with cPanel there isn’t anything to worry about. Managing all main tasks in cPanel does not require coding skills, an that’s true for both HostGator and SiteGround. In my opinion, both HostGator and SiteGround offer excellent uptime on their servers. SiteGround claims an uptime of 99.99% and HostGator will give a month free if their uptime falls below 99.9% according to their website. Very few companies nowadays will have an uptime below 95% in my experience, especially among the main companies. However, it is important to always double check that the hosting company you are choosing has a very high uptime. The higher the uptime is, the higher is your website exposure, and the chances of converting a sale or a lead. I think it is important to point where each hosting company has their servers. This is important especially if you want to target geographically a specific audience. 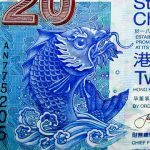 In case you don’t want to target any specific country and target visitors from all countries, I recommend a server based in North America and also using a CDN. SiteGround Server Location: SiteGround has several locations around the world, which can be good for geo-targeting your visitors. Some of the locations are: Chicago, London, Amsterdam, Milan and Singapore. If you are new to online business, I recommend starting with a shared hosting plan, regardless of which hosting company you would choose. In SiteGround, I would recommend the GrowBig plan, which costs $5.95 per month and gives a lot of flexibility to the user. As for HostGator, the Baby plan starting offer price is $3.95 and then goes to $6.95 per month. The GrowBig and the Baby plan have very similar features, however the Baby Plan from HostGator offers more storage space than the GrowBig by SiteGround. Click here to check HostGator plans and click here to check SiteGround web hosting plans. Cloud and dedicated hosting are recommended for users with already established sites, looking for a solution to optimize their business. They are considerably more expensive than shared plans, but they have their advantages. HostGator has more inexpensive plans than SiteGround for both cloud and dedicated hosting, however, the cheapest offers from HostGator have lower capacity than the cheapest ones available on SiteGround. WordPress hosting is a service that has been gaining space in recent years. However, the truth is you can easily install WordPress in any shared hosting plan pretty easily. For that reason, SiteGround WordPress hosting offers the exact same plans as its shared hosting options. HostGator has some offers especially made for WordPress, which can be advantageous for some users. They include free migration from another hosting, CDN, and faster speeds for your WordPress site. One of the most important, yet not evident, aspects of a hosting provider, is their customer support. In my opinion, the ideal customer support should be always available, ideally via chat, and with prompt responses. Let’s see how the hosting comparison of HostGator vs SiteGround went in terms of customer support. HostGator customer support: HostGator offers support 24/7/365, which definitely plays a positive role for its overall reputation. They have phone and live chat support, being the latter ideal for me. Sometimes the queue on HostGator live chat can be frustrating, but once in contact with the live support team, issues tend to be sorted quickly. SiteGround customer support: SiteGround also offers support 24/7/365, on the same terms as HostGator. That includes phone support and a live chat. From my personal experience both chat and phone supports are pretty fast. From my personal experience I have waited less to be in contact with a support operator on SiteGround when compared to HostGator. However the difference is not very significant. Nowadays, installing WordPress is a pretty straightforward process in most hosting companies. As WordPress is the most popular content management system currently available, all companies strive to offer a smooth and fast install in their hosting services. If you want to learn how to install WordPress on your HostGator web hosting, click here. For those using SiteGround, you can read this guide on how to install WordPress on it. Dedicated IP and SSL are pretty important things even if you run a relatively small blog, in my opinion. They improve the security and credibility of your website. While SiteGround allows you to add a dedicated IP on all of their plans, HostGator allows it to all expect the Hatchling plan. Adding a dedicated IP in both hosting providers will usually cost, unless the service you purchase already includes it. You can also buy more than one dedicated IP, depending on your hosting plan. You can get free SSL using both HostGator and SiteGround. Choosing a good hosting for your business or blog is critical for your success, as they will impact the exposure of your posts and products to the general audience, especially the audience coming from organic searches (namely Google Search). Considering this, you should firstly analyze what is your business model and adjust is to what kind of hosting plan you need. Perhaps HostGator is better for some types of clients, while other users will have requirements that SiteGround may be more suitable. In most technical aspects both SiteGround and HostGator have a very similar quality of services. Even if our speed test showed a slight advantage to SiteGround, it is not enough to guarantee that SiteGround will be faster at all times. In terms of pricing, HostGator has an advantage as your initial capital to start your website is lower than at SiteGround. However, if you prefer your website to hosted in Europe or Asia, SiteGround has the advantage of offering more server locations. Then again, HostGator has offers for specific markets like Brazil and India. If you don’t like queues and will use the support often, from my experience SiteGround tends to have a shorter queue. Overall both companies are great choices for new bloggers as well as for seasoned online entrepreneurs. This post contains affiliate links. When a user clicks an affiliate link he will be redirected to one of the hosting companies. If he purchases a service from this company earnwp.com earns a small commission of that sale value.